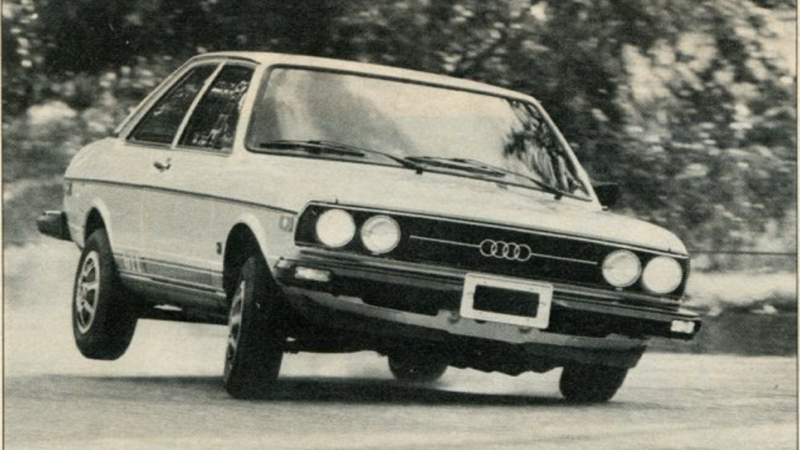 Slideshow: The Audi 80, as it was known elsewhere, helped create a new segment of sporty, efficient, fun-to-drive small sedans. Here are 10 interesting facts about the 1973-78 Audi Fox. The initial "Auto Union" symbolized by the four-ring Audi logo, was formed in 1932 by an Engineer named August Horch, though the first Audi branded cars date from 1909. In German, the word "horch" means "listen," and when translated in Latin, it became Audi. The Audi brand name was discontinued at the start of WWII, but Horch, Wanderer, DKW, and of course VW continued. The modern Audi era began much later, in the sixties, when it was acquired by Volkswagen and reintroduced as a brand in the USA in 1970. 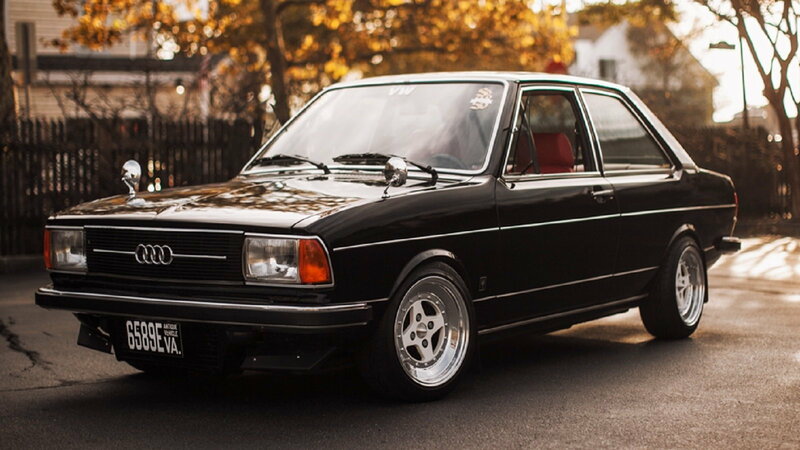 The Audi 80 (B1) was also known as the "Fox" in North America and Australia. 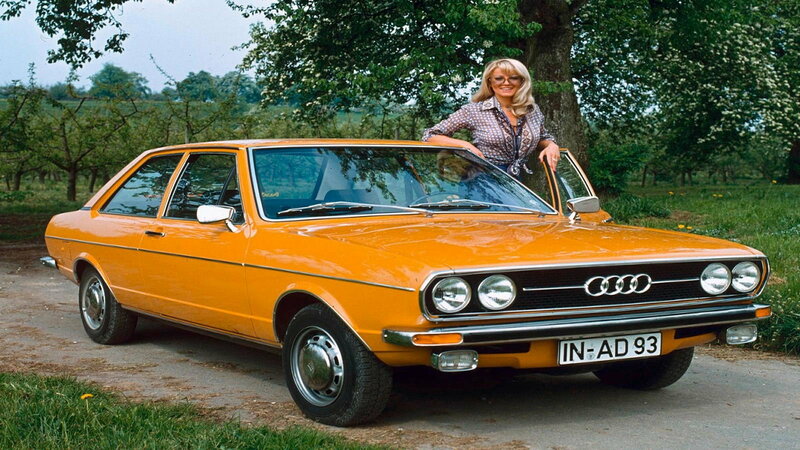 The Audi Fox was sold from 1973 through 1979 when the next generation became the Audi 4000. It helped introduce North America to the quality of German Engineering, in an affordable, efficient, front-wheel drive package. 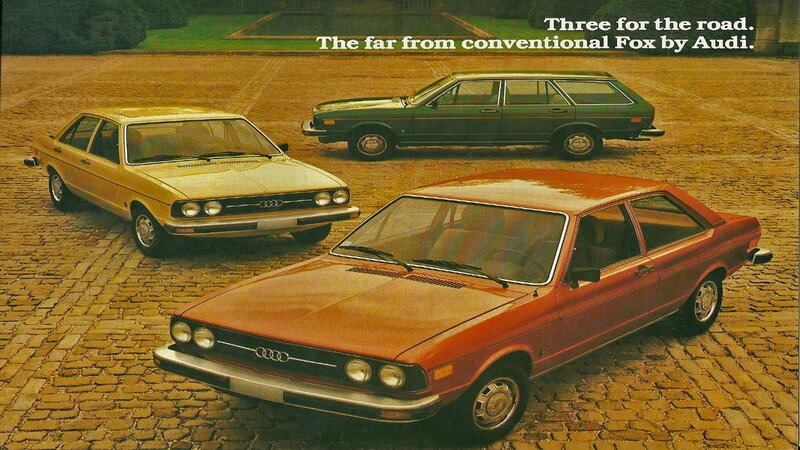 >>Join the conversation about the Original Audi Fox 1973-79 right here in the Audi World Forum! The Audi Fox was eventually offered as a two-door coupe, a four-door sedan or "Saloon" as well as an "Avant" or wagon model. Much has changed at Audi, but the A4 still offers all these same body styles, in more rounded designs, and slightly larger. 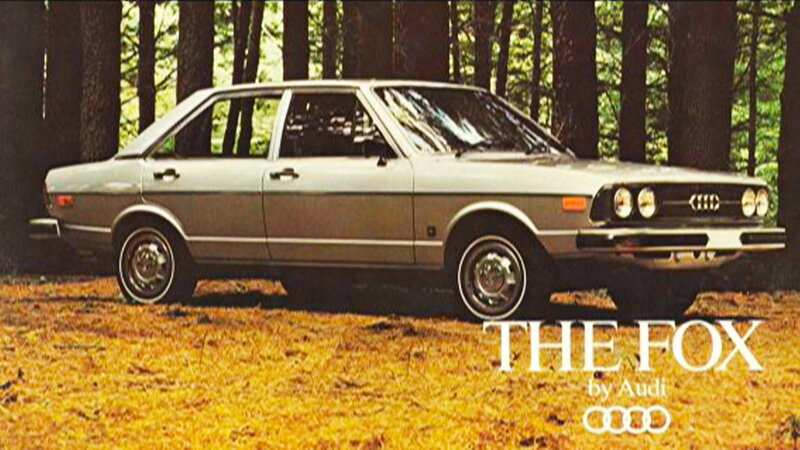 In 1973, all the hard work and engineering excellence paid off for Audi, as the Audi 80/Fox was selected as the prestigious European Car of the Year ahead of cars like the Renault 5 and the Alpha Romeo Alfetta. This award is voted on by a large number of motoring magazines from all over Europe. In 1978, Don Sherman at Car and Driver magazine said this about the new Audi Fox GTI "The Fox GTI is close to ideal-car status: economy for the feds, fun for the car crazies." Since that time Audio has continued to offer safe, environmentally friendly cars, that appeal to the car crazies too. The original Audi 80/Fox employed a MacPherson strut suspension up front, with a C-section rear-beam axle, with coil springs, trailing arms, and a Panhard rod. This was an unusual set-up for the North American market, which had been dominated by V8 cars with front engines, and driven via solid rear axles. 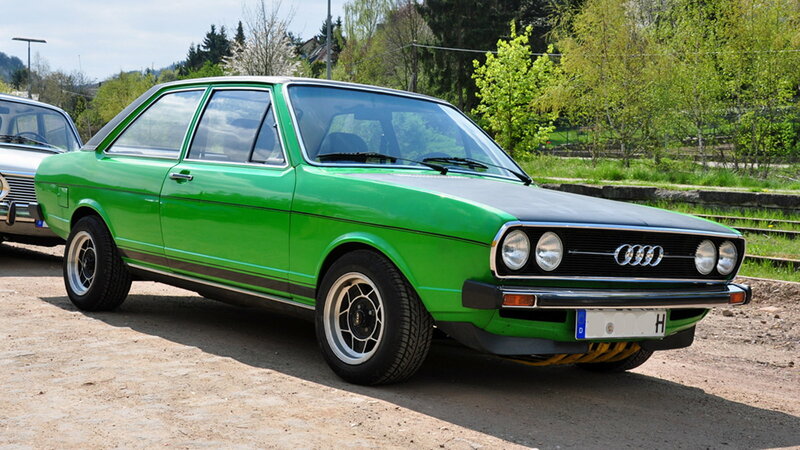 Considering the light weight and low power, The Audi Fox really proved its German roots when the road turned twisty. 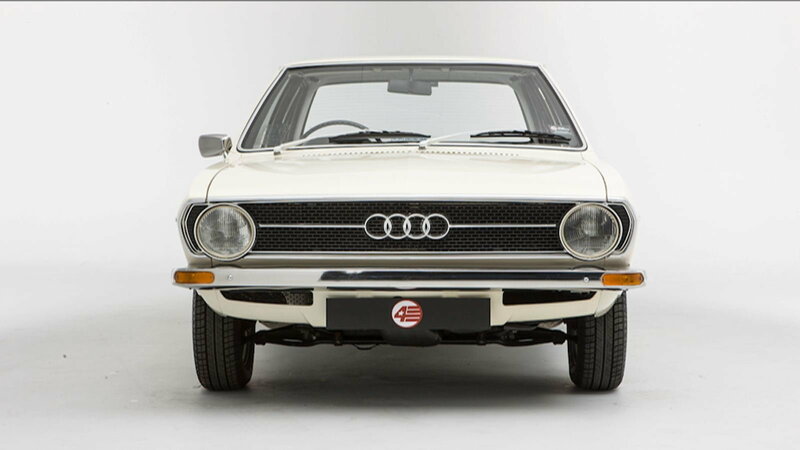 In 1976, the Audi Fox underwent a minor revision or "facelift" that included new square headlights, but the US DOT only allowed round sealed beams in our market. Along with the facelift, the motor got a bit more displacement, now 1.6 liters, and power for 83 hp or 108 with fuel injection. 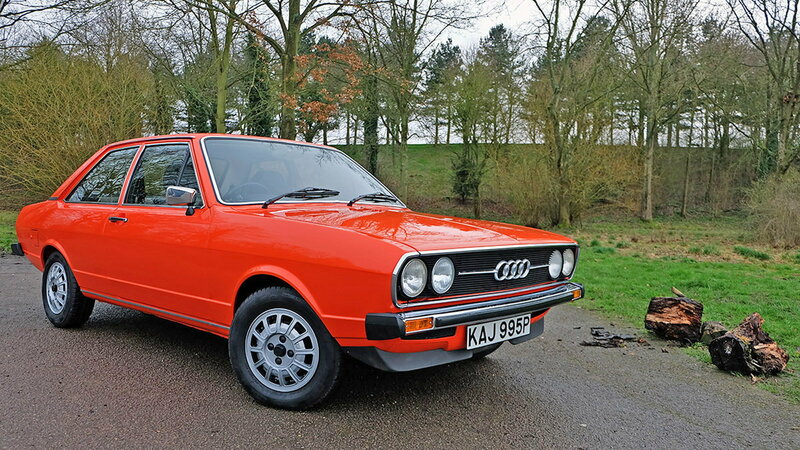 The total production run for the Audi 80/Fox (B1), from 1972 to 1978, was over a million examples, or 1,103,000 total units.